Statistics show that by mid-January, ninety five percent (yes, 95!!) of people who made a new year's resolution have given up on them. Why is that? 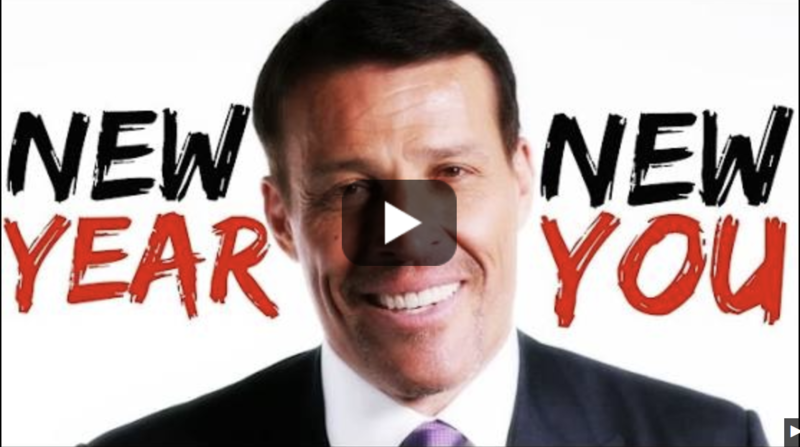 The answer is complex, so we're going to let Tony Robbins explain to you the human nature of goal setting and the steps needed to actually succeed in achieving them! If you happen to be in that 5% of people who are still going strong working toward their resolutions, keep on rocking! But if you're in the majority and you've ditched your resolutions in favor of ice cream and cookies (or, my personal favorite, cookie dough ice cream) there's still time to get back on the wagon. Whichever camp you land in, check out Tony's video below. It’s inspiration for your perspiration. Stay focused and crush your goals this year!